While current immune checkpoint inhibitor therapies are largely ineffective against pancreatic cancer, scientists in the U.S. have now identified an immune checkpoint molecule that could represent a promising immunotherapeutic target for this tumor type. The University of Texas MD Anderson Cancer Center-led team found that V-domain immunoglobulin suppressor of T cell activation (VISTA) is preferentially expressed at high levels in pancreatic cancer, when compared with melanoma tumors. 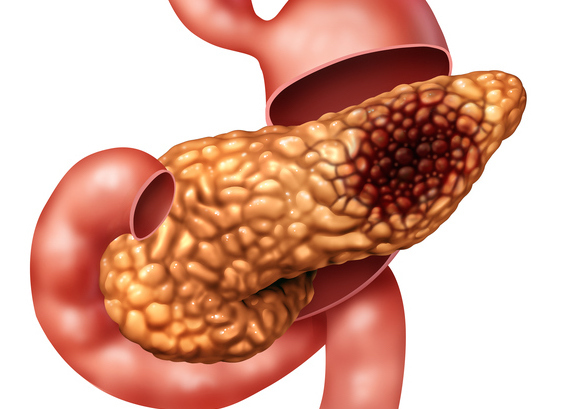 The researchers’ studies also provided a detailed analysis of immune infiltration in primary and metastatic pancreatic cancers, in comparison with melanoma, which could further help to direct immunotherapy strategies against pancreatic cancer treatment. Immune checkpoint therapy (ICT) has changed the face of cancer treatment over recent years, but not all tumor types respond well to existing immune checkpoint inhibitors. Whereas melanoma demonstrates “dramatic” clinical responses to immune checkpoint inhibitors such as anti-CTLA-4 and anti-PD-1 antibodies, clinical studies report that existing ICT demonstrate minimal clinical benefit against pancreatic cancer, which already has limited treatment options, the authors wrote. Prognosis for pancreatic cancer patients is poor, and the 5-year survival rate is less than 7%. To gain more insight into the immune architecture of pancreatic tumors the team compared immune infiltration in pancreatic cancer, which doesn’t respond well to ICT, with that of melanoma, which does respond well to ICT. They also compared immune infiltration in primary untreated and primary neoadjuvant-treated PDACs and metastatic PDACs. The team first analyzed the expression of nine already recognized immune inhibitor genes in 23 untreated, surgically removed pancreatic tumors. The results indicated that patients could be categorized into two groups, 11 with high expression of T-cell co-inhibitory genes and 12 with low expression. The expression of inhibitory immune checkpoint genes was inversely correlated with survival, such that the median survival of patients with tumors exhibiting low expression of T-cell co-inhibitor genes was 37 months, compared with just 20 months for patients whose tumors had high expression of the genes. Pancreatic tumors are characterized by a high density of stroma and non-malignant supporting cells, whereas melanoma has minimal stroma. The team’s analyses found that whereas pancreatic tumors comprised 30% malignant cells and 70% stroma, melanoma tumors were 70% tumor and 30% stroma. When they compared immune infiltration into untreated metastatic melanoma and untreated PDAC, they found that, as expected, melanoma tumors had a higher density of CD3, CD4, and CD8 T cells, memory T cells, B cells, and regulatory T cells, than pancreatic tumors. About a third of the pancreatic tumors did demonstrate T cell penetration that was roughly equal to that found in melanoma. However, in these pancreatic tumors, the T cells were concentrated mainly in the stroma, and not within the tumor cell area, whereas in melanoma tumors they were evenly distributed between the malignant cells and stroma. Analyses of 29 untreated pancreatic cancer tumors and 44 untreated melanomas also found that the melanoma demonstrated higher levels of cells expressing the inhibitory checkpoint molecules PD-1 and its activating ligand PD-L1, which are the targets of current CTI therapy. A separate comparison of three types of pancreatic tumor—untreated primary, treated metastatic, and primary tumors pretreated before surgery—found low penetration of T cells in the metastatic tumors and higher levels of VISTA in the untreated primary and metastatic tumors.